A flexible platform plus a great team equals a comprehensive eCommerce solution. Sellect offers comprehensive yet modular services for your growing online business. Our eCommerce services are powered by a robust, highly flexible platform designed for today’s demanding market. Sellect is the end to end solution trusted by exceptional brands. 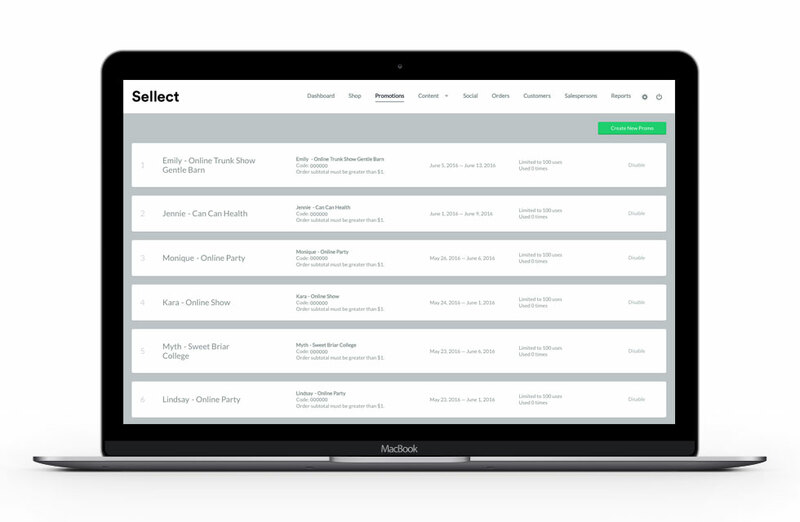 Sellect can handle everything from getting traffic and taking payments to marketing, logistics, and fulfillment. We can even take care of the day to day operations of your eCommerce site for you. 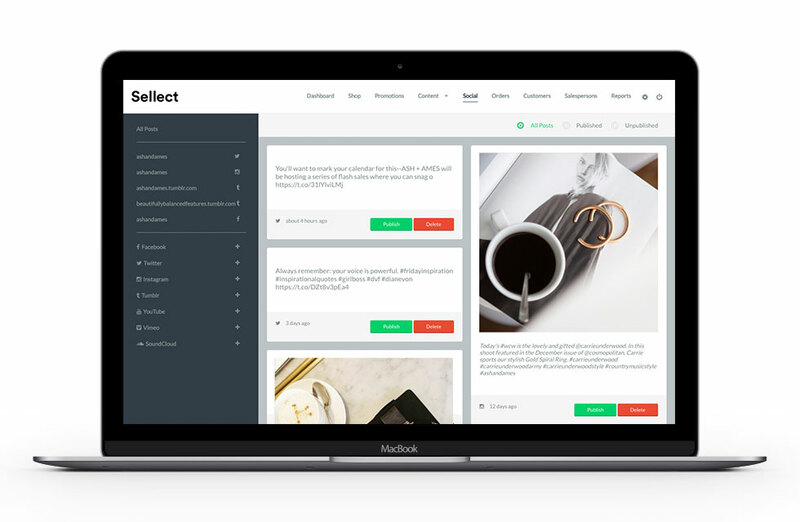 Sellect’s admin panel has been designed with the eCommerce manager considered foremost, providing control over almost everything in the platform without an overwhelming number of menu options. Out of the box Sellect comes with various integrations for fulfillment / logistics, shipping carriers, ERPs, email marketing, PSPs, and much more. Perfect balance between beautiful experience and best practices is our vision. Sellect’s business model is percentage based and has proved to be a more economically viable option than expensive technology teams and retainers. 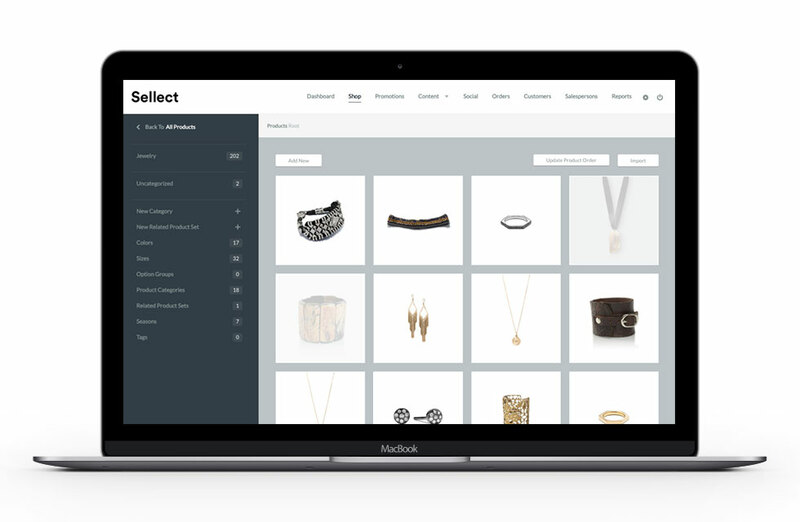 Demands for eCommerce evolve quickly, and you need a platform that can adapt quickly. Our technology roadmap ensures you stay ahead of your customer.